Are you ready to liven up your living space? Ready to feel refreshed and renewed when you come home? Unfortunately, it is not as easy as simply going to a paint store and picking up a gallon. There is a lot of psychology that goes into color and some science that goes into paint. Included here are few tips that you should consider before making your paint decision. Did you know that the color of paint in your living space can help you feel stressed, tired, calm or even happy? Hard to believe that a thin coat of paint on the wall can affect your mood so drastically, but it does. 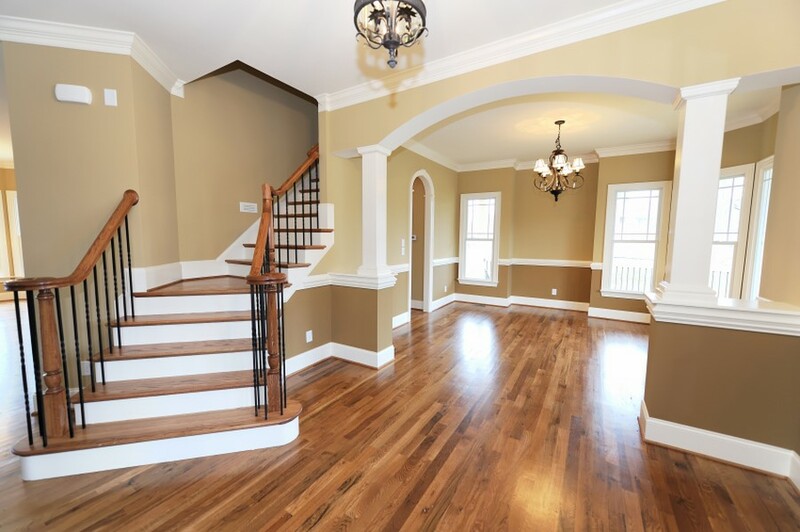 When choosing paint colors, keep in mind the way each color affects you. Cooler colors simulate a lower temperature and warmer colors make it seem hotter. Each individual color can have a different effect on your psyche. Red and oranges can cause you to feel excited, alarmed or stressed, while blues can help soothe the room and calm you down. Green is known to help increase focus and is a great color for a home office or work space. Remember that what you associate a color with determines how it affects you as well; for example, brown can be a calming color to some people, while for others it reminds them of dirt or defecation. Have you ever tried to pick out a can of paint and run into confusion at the words “satin” or “semi-gloss”? The higher the shine of a paint (semi-gloss), the more durable it will be. This means semi-gloss paint, which is very shiny and reflective, is also very durable and waterproof; making it ideal for kitchens and bathrooms. If your wall has a lot of defects or you are painting with a very dark color, try choosing egg-shell for a more softened look. Satin is a more medium type of shine and is the sheen you will see most commonly in living rooms and bedrooms. Do you have a lot of natural light or are you reliant on artificial? Keep in mind that your lighting will affect the tone of your paint. A naturally lit room may look lovely with a dusky red or dandelion yellow, but those colors could seem garish under fluorescents. Matching hues to your existing furniture and decor is important when choosing your paint. If you are doing a full remodel and renovation, you can change all of those aspects; however, if you are just painting, you don’t want things to clash obtrusively with each other. This may be one of the most important factors. What can you live with? Yes, that electric shade of purple looks smashing on the tester stick, but could you stand to look at it for the next few years? Be cautious about latching on to “fad” colors and try to stick more with neutral, classic colors in your main living space.